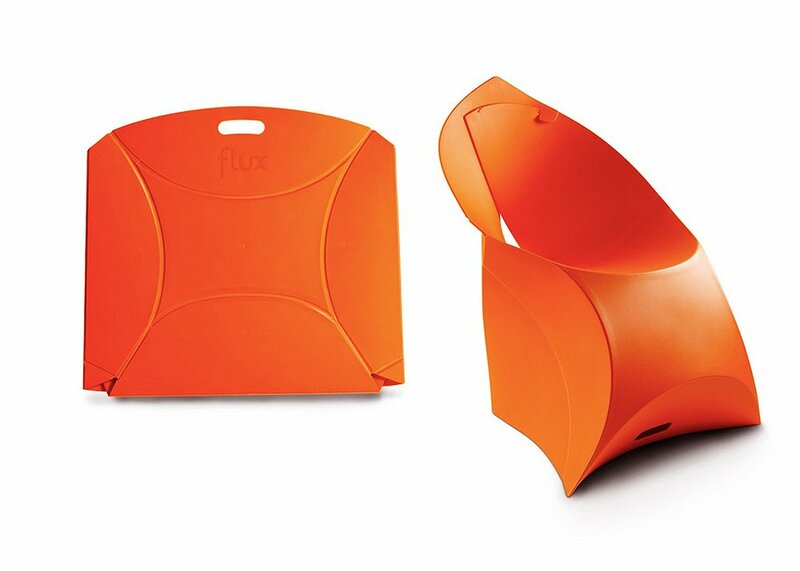 The Flux Chair might look like a giant plastic envelope, but it’s actually a surprising seat that can be assembled in about ten seconds. 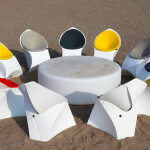 Design by Dutch duo Douwe Jacobs and Tom Schouten, it’s made from recyclable plastic and comes in eight different colors. 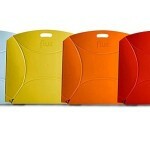 Flat-pack, space saving, and durable, this clever product can quickly become a comfortable, graceful seat. 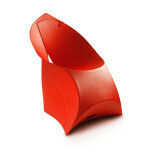 It was 2009 when designer Douwe Jacobs and engineer Tom Schouten joined up to create the origami-inspired Flux Chair. 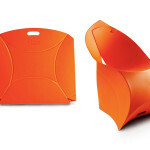 This fantastic seat is made from one single material, recyclable polypropylene, which is durable yet very lightweight. 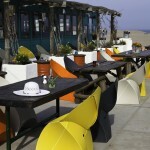 Elegant and waterproof, it can be used as a spare seat in the house or an on-the-go piece for outdoor use. 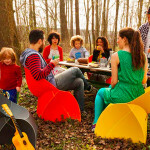 The Flux Chair comes in eight different colors and can fold from a single flat-pack piece with a handle into a curvaceous lounge seat without the need for tools or complicated manuals. It can be easily transported and stored and even hung on the wall. A clever blend of functionality and beauty, this seat combines the advantages of foldable furniture with the look of a classic design. 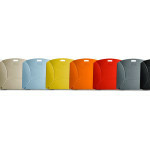 And for extra comfort, check out the new flux chair cushions. To see the ten-second assembly in action, watch the video below. 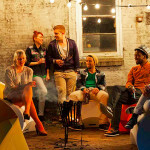 And explore more clever products from Flux Furniture here.